When I purchased this truck, one of the first things I noticed was the nuts that hold the wiper arms on were showing signs of rust. Badly. I found it odd that they didn't have anything over them to protect them. Then I saw in my parts manual a cover for these arms. Thing is it shows to have the same part for both drivers and passenger (which the passenger has two nuts). By looking at the design of these two, I'm not seeing how they could be the same. 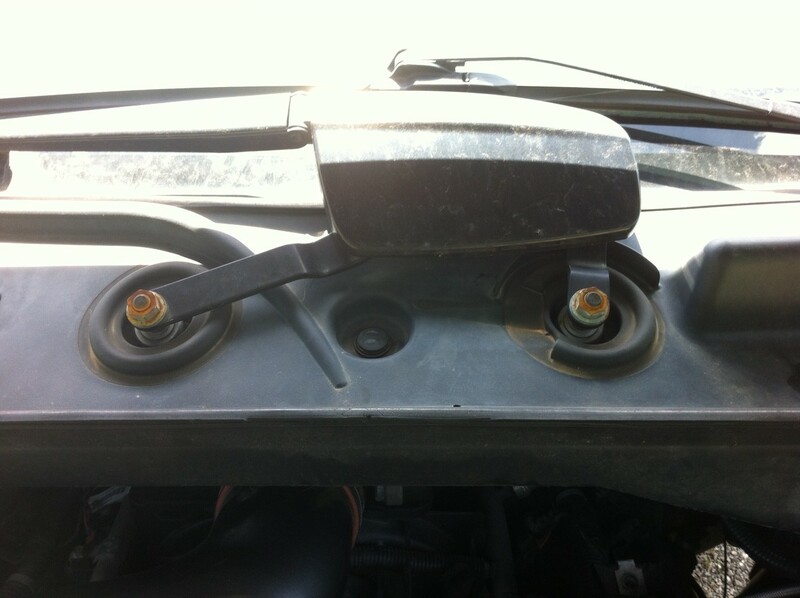 Curious to know if any of you have a cover for these wiper nuts on your truck or if they are exposed like mine are. If you do have covers, can you please post a pic or two of them covered. Thanks. They aren't covered on mine either, but aren't easily visible with the hood closed. Thanks for the confirmation. I just don't like signs of rust anywhere. Even if it's not easily visible. Guess I'll look at replacing them and then adding some touch-up paint over top of them to keep it from happening again. 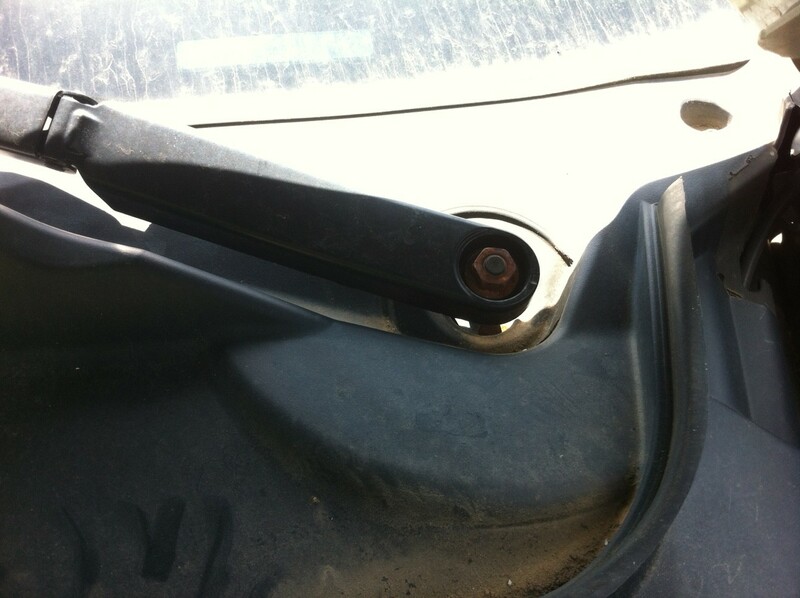 Quick Reply: Rusted Wiper Arm Nuts?